If you want a plan in place that will make things easy for your loved ones no matter what happens, then we’re the right fit for you. Many estate planning law firms take a “one-size fits all” approach with their clients; they do this so that they can work with as many people as possible in a short period of time. The problem is that the client has an impersonal experience; but worse than that, this way of planning can lead to unintended results in the long run for the family. When lawyers do not take the time to listen and consider a family’s personal circumstances, the result is that your Will & Trust Documents do not end up reflecting what your family really wants to happen. In most cases there is no review or updating, so the plan quickly becomes outdated and does not work when your family needs it most. Although you may pay less up front to get a standard set of documents (or even documents that are customized for your family), things end up much more expensive in the long run. This can leave your family at risk of having to deal with an expensive, unnecessary court process during a time of tremendous grief. Voyant Legal is right for you if you want to know that your plan will actually work when you and your loved ones need it the most. If all you want is a set of legal documents, there are plenty of online resources you can use to create them. Or you can go to a traditional estate planning lawyer. If what you want is a plan in place that will make things easy for your loved ones no matter what happens, then we’re the right fit for you. We review your plan at least every 3 years. We foster a lifetime, ongoing relationship with our clients. Throughout your life, things change. You change; your assets change; your family changes; the law will definitely change. We have a whole team in place to answer your quick questions and to make the planning process incredibly easy and painless for you and your family. We have a process for helping you make sure that your assets are titled in the right way, both now and over your lifetime. We help you get your legal and financial house in order by helping you make smart choices about things like buying insurance, saving for college, and retirement planning so you never spend more than you have to or get taken advantage of by unethical sales people. Legacy Planning. We believe that planning is about much more than just the transfer of your financial wealth. With all of our plans, we include a process to help you transfer your most important personal wealth to your loved ones, including your intellectual, spiritual and human assets – who you are and what’s important to you. Before you engage an estate planning lawyer to help you plan for the well‐being of your money, your family and your life, there are questions you need to ask. You need to ensure that the estate plan you put in place will really work when your family needs it and won’t end up a pile of worthless paper after you are gone. Schedule Your Free Consultation Now. Click Here. 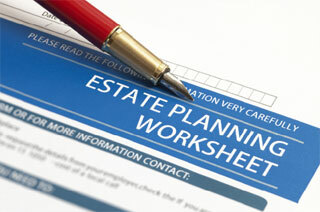 Please enter your name and email address in the form below to download our estate planning worksheet. It would be our pleasure to provide you with the same great representation. Call us today to find out how. At Voyant Legal, we believe estate planning is not just about transferring your financial assets and personal belongings. Do not wait until it is too late. It is never too early to have a plan.